Keeping your pool clean is an important aspect of pool maintenance and health. Untreated, or improperly treated pool water can be a health threat. Chemically balanced and sanitized water, on the other hand, will provide a healthy and visually appealing environment for you, your family and friends. Use this as information only. We always recommend consulting a swimming pool professional to ensure the safe use of your swimming pool. Use this as information only. We always recommend consulting a swimming pool professional to ensure the safe use of your swimming pool. • Chemically balancing the water to ensure it is neutral to bathers, the Pool itself, and pool equipment. Keeping your pool clean includes regular testing and balancing of your water. It takes very little time and ensures that all is well with the pool water. The following sections deal with each of these requirements and form an easy maintenance program. 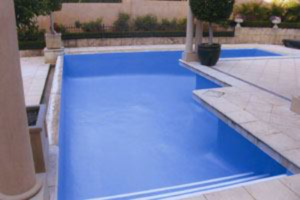 Your swimming pool is a water container and the water it contains must be suitable for both the swimmers and the pool. Balanced water means that its chemical demands have been met and is an important aspect of keeping your pool clean. If the chemical levels are too low the water may aggressively seek the products it needs by attacking the pool surface and equipment. This may lead to severe corrosion problems. At the other end of the scale, high chemical levels may cause chemicals to precipitate from the water and form scale on the pool surface, within equipment etc. Out of balance water can, therefore, cause expensive damage to the pool and may also inhibit the sanitizing process. pH is a measure of how acidic or alkaline the water is. The pH scale ranges from 0 to 14, with 7 being neutral. Values below 7 are acidic and values above 7 are alkaline.pH is another improtant aspect of keeping your pool clean. With pool water, we are seeking a pH balance suitable to the swimmers; the pool and the sanitizer used. 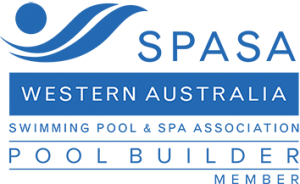 Australian Standard 3633 defines the operating range as 7.0 to 7.8, ( 7.0 to 7.2 for fiberglass pools and 7.4 to 7.8 for concrete pools). Interfere with the sterilizing action of your pool sanitizer. Effective sanitizing relies on pH values. Therefore, sanitizer and pH levels should be the measures you check and adjust most often. Regardless of the chlorine type or chlorination process you use, any pH drift outside the recommended range will inhibit the sanitizing effect of your chlorine. For example, a pH level of 8.2 would mean only about 16% of your chlorine would be available to sanitize the water at any time, which means that you would have to add more than 5 times as much chlorine to achieve the same sanitizing effect. When the pH is lower than 7.0 the chlorine becomes extremely active and is rapidly consumed. This is a measure of bicarbonates, carbonates, and hydroxides in your water. Recommended range is 60 to 200 parts per million (ppm) according to Australian Standards 3633. Adding “buffer” (i.e. bicarbonate of soda). This is used to RAISE Total Alkalinity. Adding top-up water to your pool will change the Total Alkalinity depending on the TA. Of the top-up water. Total Alkalinity of about 100 ppm or as directed by your pool builder. Let’s have a look at the interconnection. Assume that the pH is O.K. but the Total Alkalinity is low. To raise the level, add “Buffer” (Sodium Bicarbonate) at the required rate. However, Buffer is an alkali and will also raise the pH. Acid, which is used to lower pH, also lowers Total Alkalinity. The trick is, therefore, to raise the Total Alkalinity artificially high so that when the acid is added to lower the pH to the correct range, the Total Alkalinity is also reduced to the correct range. Three acid types are used to lower pH. Hydrochloric Acid, Sulphuric Acid (non-fume acid) and Dry Acid (sodium Bisulphate). All will effectively lower the pH and Total Alkalinity. If using Hydrochloric Acid to lower pH it is vital that it be diluted (one part of acid to ten parts of water) prior to adding to the pool. Note that the filter should be running during addition and for one hour after to ensure adequate mixing. No other type of acid should ever be used for pH or Total Alkalinity adjustment. Always brush the pool surface immediately after adding acid. Never mix pool chemicals of any type together. NOTE: Always add chemicals slowly into the water. NEVER add water to chemicals. Broadcasting chemicals inadvertently into the pool may cause surface damage and void your warranties. In simple terms, this measures the amount of dissolved calcium in your pool water. The desired range is 80 to 500 ppm according to Australian Standards 3633. You should consult your pool builder or pool shop for the specific requirements of your pool finish, water supply, and equipment. Both Total Alkalinity and Calcium Hardness need to be brought into balance. Low levels will mean that the water is corrosive to the pool and/or equipment; whereas high levels will lead to scale formation on the pool and equipment. Measurement of Calcium Hardness cannot be performed with a normal pool test kit. We suggest that a water sample is taken to an Accredited Pool Shop for testing. Generally, in areas where calcium levels are not naturally high, testing annually will suffice after the initial adjustment. The only qualification to this is if you use Calcium Hypochlorite (65% Chlorine) to sanitize your pool. Depending upon the method used, this chemical can quickly raise Calcium Hardness levels and may require more frequent testing and adjustment. Salt Water Chlorinators – these units produce chlorine through the electrolysis of salt in the pool water. (b) at least 3 parts per million F.A.C. in a stabilized pool. To check Free Available Chlorine use a DPD test kit. Refer to the manufacturer’s instructions to correctly and safely dose your pool with chlorine or other sanitizers. Ultra-violet light attacks chlorine. Stabilizing pool water involves adding the chemical Cyanuric Acid pool stabilizer which reduces the amount of chlorine destroyed by sunlight. Up to 5 ppm of free available chlorine can be destroyed in three hours in strong sunlight. For health and financial reasons, it is important to overcome this effect as much as possible and so stabilizing the water is strongly recommended. For the initial stabilizing of a new pool, Cyanuric Acid should be added to achieve the recommended level of 30 to 50 ppm. Stabilizer is lost through splash-out and backwashing of the filter, and will need to be replaced, especially during the swimming season. To do this it is necessary to first test for the residual levels in the water. Pool Shops or service person can do this testing from a water sample and, based on your pool volume, tell you how much stabilizer to add. Check it every few months during the season. If you have to pump out water or lose a lot through splash-out and backwashing, more frequent testing and adjusting may be required. Usually, your are far better off adding small amounts of chemicals, running the filter and testing the effects after several hours. Attempting LARGE chemical changes by adding LARGE amounts of chemicals can result in LARGE PROBLEMS. We recommend treating one chemical problem at a time as some chemicals will react with each other and nullify their effect. Remember previous advice – NEVER mix chemicals and always add chemicals to the water. WARNING: Failure to maintain the pool water within the recommended chemical parameters will void all warranties on the pool surface. Please contact us for more info and advise on maintaining your swimming pool water.